HomeBlogSales and Marketing Activity, what comes first? Now in this case, the answer would be almost universally accepted to be a firm ‘no’. There are plenty of businesses that fail, primarily because they never manage to sell anything. Small businesses sometimes start with a few customers, but in the mid to long term, this doesn’t develop into a successful venture. Once the close proximity prospects are converted, the opportunities dry up, because the message simply never gets to other customers. How do we ensure that this initial activity turns into a long term business success? The answer is that we need to increase our reach and enable more people to be aware of what we do. This inevitably means some kind of marketing activity. 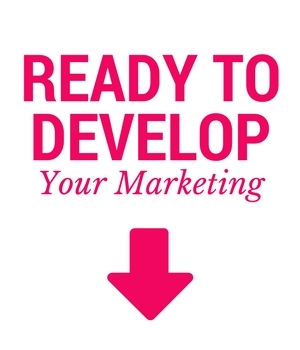 Marketing ‘tools’ can include a website, flyer, social media presence, a shop display or something else. However, on their own marketing ‘tools’ do very little. Just like a hammer with no person to swing it, makes very little furniture. If you were to print a flyer and never distribute it, it wouldn’t work. So as well as a marketing ‘tool’ we need to involve marketing ‘activity’, often at cost, to distribute the flyer. Sometimes, we might reduce the cost by distributing it ourselves, though in fact, it still costs the business, as it uses our time and often our time may be more valuable than paying someone else to do it. Similarly with a website. We reckon that 90%+ of the businesses we meet with a website, think that it is a marketing ‘activity’, whereas actually, it is a marketing ‘tool’. Like a flyer, if we don’t distribute it and bring people to it, it has the same effect, no-one knows it exists and it won’t generate any sales. How do we get people to a website? Similar to the flyer, we have to find ways to distribute and share it. The quickest way is to tell people about it and have them visit us, but once that close proximity audience is exhausted, or if we never update the site with new stuff, we have to work harder to increase it’s reach. The way to do this involves marketing ‘activity’ and therefore in most if not all cases, spending money or resource on an ongoing basis. What about social media presences? You may have noticed a trend here. Again, most businesses we meet think that building a social media presence and posting updates is marketing ‘activity’. Sorry everyone, but social media sites are the same. They are marketing ‘tools’. You can easily build a following in Facebook, hell, you can even buy one! But in order to reach the audience, due to Edgerank, you will need to pay to share your updates with your own page followers, (You may have seen the ‘boost’ button on every status update!). One thing that all marketing ‘activity’ has in common is that it costs money or resource on an ongoing basis. Here is the other surprise for you! There are plenty of marketing agencies out there who will charge you a lot of money for supplying you with marketing ‘tools’, while letting you believe that they are actually marketing ‘activity’. A web agency who tells you that the website will bring you customers, a branding agency who say that your new logo will bring you sales, a social media agency who promise that ‘if they build it, they will come’. Sorry to ruin the dream but it simply isn’t the case. In order for people to buy from you, they need to know you exist. In order to let them know you exist, you need to communicate with them. In order to communicate with them, you need to use money or resource on an ongoing basis. A hammer will not build you furniture. If someone told you it would, you would laugh at them.